When I saw this on Netgalley, my interest was immediately piqued. I've had a fascination with Edgar Allan Poe since I read "The Tell-Tale Heart" in middle school. Even though I've shied away from historical fiction in the past, I knew I had to get my hands on this book. While I've read some of his works and a biography on him, I won't pretend I'm an expert on Edgar Allan Poe. And other than hearing her name before, I have very little knowledge at all of Frances Osgood. Luckily, whether or not you have any knowledge of the two main characters makes little to no difference at all when reading this book. Lynn Cullen fills in the gaps about what we know of Osgood and Poe and their relationship. She creates, what I feel is, a believable story about Osgood and Poe's love affair. 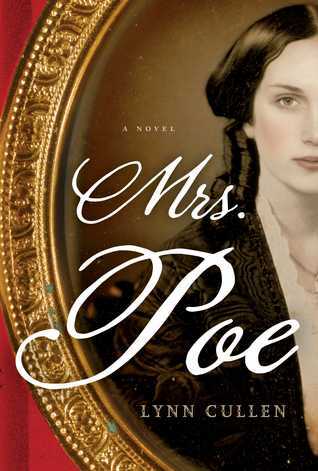 She weaves in some darkness with Mrs. Poe (with both her sickness and her obvious knowledge of her husband's affair). In all, we're presented with a rather unique story. It was clear to me that Cullen had certainly done her research before she wrote this book. It certainly made me wonder about what actually happened between Osgood and Poe.